If you're comparing this side by side to my Basset Hound stocking, I guess you could say I'm a one trick pony when it comes to stockings. Blue background? Check. 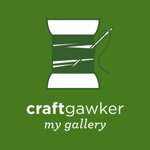 Felt animal with a red bow? Check. Oops. Similarities aside, I love this little guy. The actual stocking is a teal corduroy fabric and the polar bear & snowflake are felt. 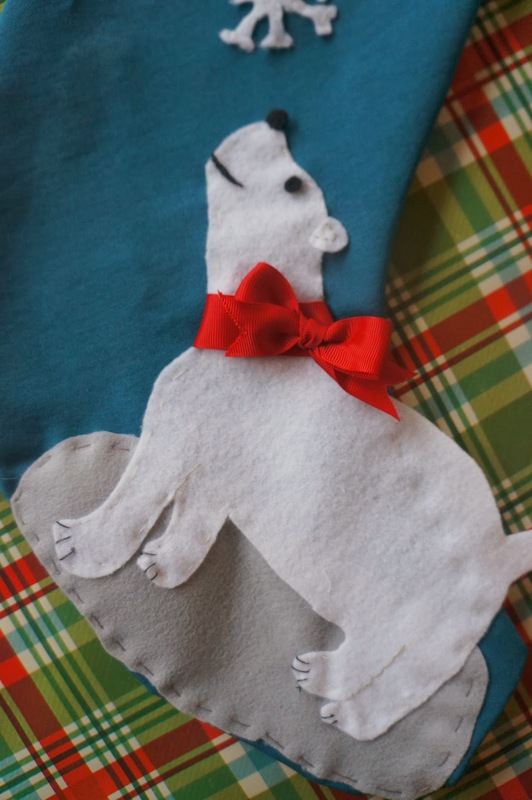 I drew a polar bear shape onto some paper and used it to cut out the felt. 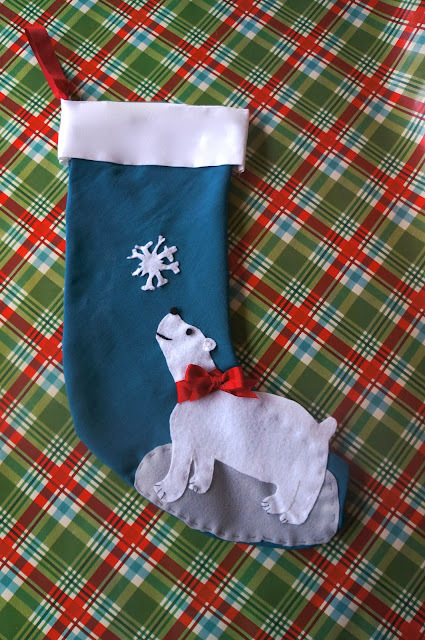 Unlike the Basset stocking, I sewed this together using the machine for the stocking, which was traced from my stocking, cut out, and then sewn inside-out. I sewed the bear together and then attached to the stocking by hand. As for actually stuffing this stocking, here's what we've got so far. 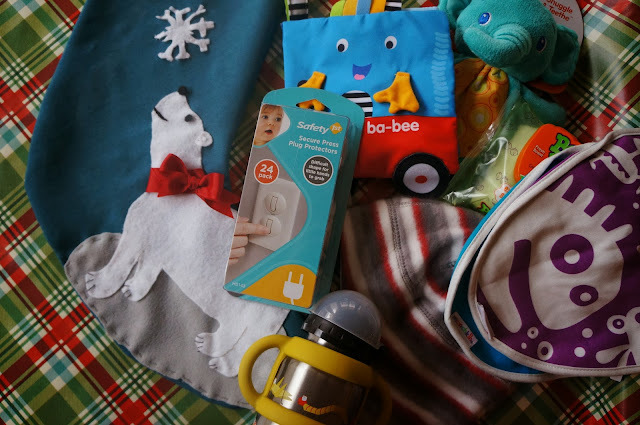 Some necessities (like outlet covers and bibs) paired with some fun stuff to enjoy, too. If anybody has suggestions on some little items for a 9 month old (how did that happen?) to have fun with, please let me know!